Is Russia shifting its Asian economic focus away from China? Large delegations from Japan and South Korea are expected at the Eastern Economic Forum. At the Eastern Economic Forum in Vladivostok, Vladimir Putin will hold talks with the leaders of Japan and South Korea. China will be represented at the forum by a lower-ranking official. Experts say this is a result of the Kremlin's general disillusionment when it comes to economic cooperation with China. 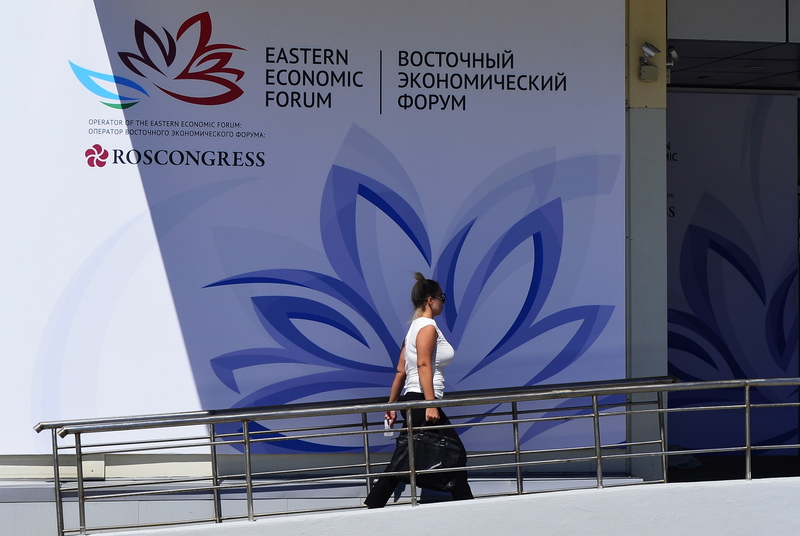 Russian President Vladimir Putin, Japanese Prime Minister Shinzo Abe, and South Korean President Park Geun-hye will attend the Eastern Economic Forum (EEF), which begins in Vladivostok on September 2. According to the Kommersant newspaper, the Chinese delegation will be headed by a significantly lower-ranking official, Chen Changzhi, Vice Chairman of the Standing Committee of the National People's Congress. Moreover, the publication reports that the heads of the Chinese provinces that border Russia, Jilin and Heilongjiang, will not participate in the forum. Experts see this as a sign of Russia diversifying its Asian economic policy and moving away from its Sino-centric approach to attracting foreign investment. “Discussions about numerous agreements with China over the last few years have not brought the positive results that the Russian government was expecting,” says Mikhail Poddubsky, an analyst with TeleTrade. On the eve of the forum in Vladivostok the Japanese government said it was increasing economic engagement with Russia, even if the Southern Kuril Island territorial dispute remained unsolved. The Russian-Japanese Business Council has formed a pool of Russian investment projects to be developed with Japanese partners, and more than 200 Russian companies are participating in this pool, Council Chairman Alexei Repik says. At the same time, several factors are impeding progress when it comes to China. “For China the main problem is the clear slowdown of the export sector,” says Sergei Khestanov, an analyst with Otkrytie Broker. He attributes the lukewarm Chinese response to the EEF to this slowdown. Freedom Finance. “Furthermore, the country is preparing more for the G20 Summit.” The annual summit of the world’s largest economies will be held immediately after the Russian forum on September 4-5 in the Chinese city of Hangzhou. During the last forum in Vladivostok, 80 investment contracts for a total sum of 1.3 trillion rubles ($20 billion) were signed. Among them was an agreement on the construction of the Amur gas plant with a 49-billion cubic meter annual capacity. “The Eastern Economic Forum's main aim is to promote interest among foreign partners in Russian projects,” says Khestanov. Timur Nigmattulin, a financial analyst with Finam Holding, says many framework agreements and memorandums of understanding should be signed at the forum. St least 35 large projects will be presented at the EEF, he adds. “The forum is important politically as a demonstration of the readiness of international investors to enter Russia,” says Freedom Finance analyst Vaschenko. He believes that Asian markets have a more favorable attitude to Russian projects than their Western counterparts. The forum will also demonstrate innovational projects, Vaschenko adds.